The “common cold” gets its nickname honestly. According to the Centers for Disease Control (CDC), millions of adults and children will come down with colds each year. Even worse, more than two hundred viruses have been implicated in causing cold symptoms, and since the cause is viral rather than bacterial, antibiotics can’t do anything to help. But this doesn’t mean you are without powerful allies in your fight to repel the common cold. You can get much of the power you need to both fight off cold symptoms more successfully and prevent a cold from forming just by adding certain foods to your diet. In this article, learn about 13 particularly powerful foods you should eat whenever you have a cold. The earlier you can get some Vitamin C-rich food into your system, the more likely you are to send that cold packing. If you can take in foods rich in Vitamin C, like citrus fruits, on the first day of your cold, you may be able to shave as much as a full day off your symptoms! – Squeeze fresh lemons, limes, oranges or grapefruits into juice. – Flavor your foods with a squeeze of fresh lemon or lime. – Make a citrus-based salad dressing. – Add a lemon to hot tea. – Make a cooling batch of lemon sorbet. If you are not a big fan of citrus fruits, you don’t have to worry – there are plenty of other foods you can eat that can also give you that necessary dose of cold-limiting Vitamin C. Try papaya, strawberries, kale, broccoli, kiwi fruits, pineapple, mango, cauliflower, bell peppers or brussels sprouts. Kefir and yogurt are both rich in a special type of bacteria called probiotics. Probiotics are quite similar to the digestive bacteria that occur naturally inside your stomach. For this reason, taking in foods that are rich in probiotics can be especially wise when you are under the weather. This is especially true if you are taking any medications or supplements that destroy your gut bacteria, since your body needs all the help it can get to both fight off the cold virus and also digest your food for you. You might be wondering what the difference is between kefir and yogurt. The main difference is one of bacteria count and variety. 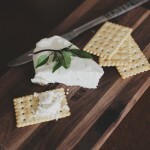 While yogurt will often feature one or a few strains of healthy probiotics in small amounts, kefir is a special food designed to pack a powerful probiotic punch. For this reason, you might consider taking kefir when you have a cold. As a side benefit, kefir is offered in smoothie form in many tasty fruit flavors that you can drink, which can also be very soothing if you have a sore throat or an upset tummy. Carrots are packed full of Vitamin A, which is an essential nutrient to support your immune system function. When cold viruses invade your body and you begin to experience symptoms, your immune system springs into action to fight back. 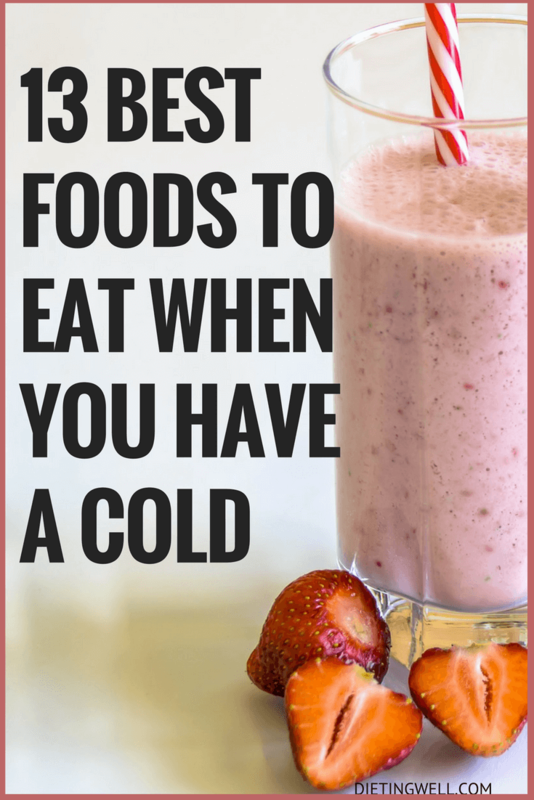 But if your immune system is already compromised from prior illness or poor nutrition, it is not going to be able to fight as effectively to repel your cold. This is a great reason to include carrots in your cold-fighting diet. Vitamin A-rich foods are a smart choice when you are not feeling well. If for some reason you are not keen on carrots, there are plenty of other foods that also deliver large doses of Vitamin A, including sweet potato, collard greens, squash or spinach. Blueberries have gained quite a reputation in the scientific health community as being one of the most antioxidant-rich of all fruits. A 2007 study conducted by Cornell University confirmed this, and since then blueberries have been a top choice for fighting colds and other health issues. Antioxidants, as you may already know, are like a cell’s personal bodyguard. The Atlantic reviews how stress, substance or nicotine use, illness and other life events can trigger damage to your body’s cells. Antioxidants fight back against this damage, which is called oxidation. Blueberries are particularly potent bodyguards and they are also bland and easy to digest, making them an excellent choice for fighting a cold. Sometimes it can seem like every diet and wellness guide has to mention dark, leafy greens. What makes these foods so popular with the health community? Dark leafy greens such as spinach, collard greens, arugula and swiss chard contain both copious amounts of Vitamin C and plenty of antioxidants. This means dark leafy greens can help you reduce the length of time you have to suffer with cold symptoms and at the same time reduce the amount of damage the cold virus does to your body’s cells. Garlic has a compound called allicin that make it an essential addition to your diet when you are coming down with a cold. Allicin not only has immune-boosting properties, but it can also prevent you from coming down with a cold in the first place. Allicin is best delivered in the form of raw whole garlic cloves, fresh crushed garlic or garlic oil. Cooking garlic may reduce the potency of its active ingredient. It is best to eat at least one whole garlic clove (or equivalent) per day when you are trying to recover from a cold. Hot tea is a no-brainer when you are feeling poorly. It is so soothing. You can add honey or other components that help ease sore throat pain and open up nasal passages. Prevention cites the healing effects of a tea made of garlic, lemon and honey, but there are plenty of other equally beneficial options if garlic tea isn’t really up your alley. – Echinacea. Echnicea is an herb that can help boost immune system function. – Licorice root. This herb can reduce the impact of viruses, such as the cold virus. – Lemon balm. Lemon delivers lots of vitamin C and can soothe and help heal sore, inflamed throat and respiratory passages. – Eucalyptus. Eucalyptus contains the active ingredient menthol, which soothes and opens respiratory passages by reducing inflammation. – Peppermint. This herb is known to contain decongestant and fever-reducing properties. It can also sooth an upset stomach. The Mayo Clinic cites honey as an effective soother for the symptoms of the common cold. Honey can be taken on its own, but it is recommended to add honey to tea, water or juice so you get additional benefits along with the honey. Honey can help to loosen congestion in the nasal passages and chest area. The Daily Mail also reports on a study conducted by Jahrom University of Medical Science in Iran that shows taking honey can shorten your cold symptoms but up to two days. But here, the key to shortening a cold’s duration as much as possible is to take the honey within 24 hours of first feeling the symptoms. One of the big risks you will encounter when you have a cold is simple dehydration. Dehydration can be a lot more dangerous than most people realize. In fact, The Independent reports that driving while dehydrated is now considered just as dangerous as driving while intoxicated! When your body gets dehydrated, it becomes depleted of necessary minerals and salts called electrolytes. This means that when you try to drink water to rehydrate, your body won’t be able to take in and use the water because the minerals and salts it needs to rehydrate are not available. Coconut water is a great source of both water and naturally occurring electrolytes. It is also neutral-tasting and gentle on the stomach, and it doesn’t have any of the additives most commercial sports rehydration drinks contain. Dr. Deborah MD recommends choosing a coconut water that has no added sugar, which is something your body doesn’t need when it is fighting off cold germs. Ginger is a great addition to your diet when you are struggling to recover from a cold. It can help ease an upset stomach plus quell nausea from being ill. It can also help keep your digestion regular when your body is fighting germs. There are many ways to take in ginger. You can boil it in water and make a tea (add some honey and lemon for taste and extra soothing and healing properties). You can also add ginger to any food dish, from salad dressings to sauces. Ginger can also be tasty when juiced and added to lemonade. Because ginger has a natural anti-inflammatory effect, you may also want to boil some ginger in water and then inhale the hot steam to help with nasal and chest congestion (here, just be careful not to burn your sensitive tissues on the hot steam!). It can be tempting to skip out on eating sufficient calories and healthy calories when you are sick. Cold symptoms can be miserable, prompting you to forgo food or reach for comfort foods instead. Nuts are a great way to get enough protein and also take in zinc and selenium without having to eat too much. The Spark People health and fitness site recommends Brazil nuts in particular, because they have particularly high levels of selenium. Selenium helps to boost your immune system’s production of virus-fighting cells call cytokines. The Mayo Clinic also highlights the importance of taking in some zinc when you are ill, which nuts can provide. Zinc has been proven to lessen cold symptoms by up to a full day, but only when taken within 24 hours of the first symptoms. You know cold and flu season is a big deal when a magazine like Entrepreneur features an article devoted to it. One of the top five foods the article recommends to fight off cold and flu germs is salmon. As an oily fish, salmon delivers high quantities of essential Omega-3 and Omega-6 fatty acids. These are building block proteins your body cannot make on its own but must take in through the foods you eat (or through supplements). Salmon supplies plenty of both types of fatty acids, which go to work to create antibodies your immune system needs to fight off germs and viruses. Health experts recommend having at least two or three 3-ounce servings each week. Chili peppers, with their high capsaicin content, can be effective at lessening congestion and reducing tissue inflammation during a bout with colds. Capsaicin does this because it acts like a natural decongestion to thin out built-up mucous so it can drain and you can heal. You can also use chili powder or cayenne pepper if you prefer. These 13 foods are guaranteed to lessen your cold symptoms and, if taken promptly at the first sign of symptoms, can also shorten the duration of your cold by up to two days! However, if you plan to try any of these foods while pregnant or give them to a young child or a baby, please take the precaution of first discussing your plans with your doctor. Otherwise, now you have something tangible you can do to start feeling relief right away!